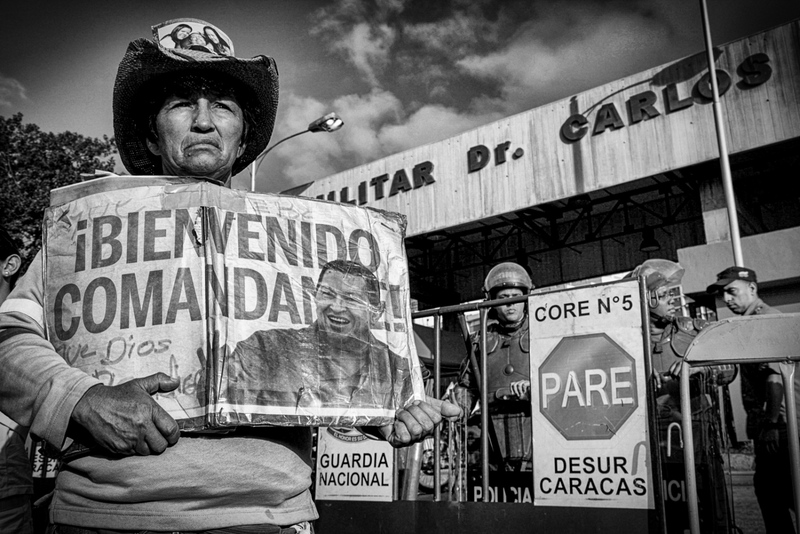 President Hugo Chávez died on 5th of March, 2013 in Caracas "Carlos Arevalo" Military Hospital. 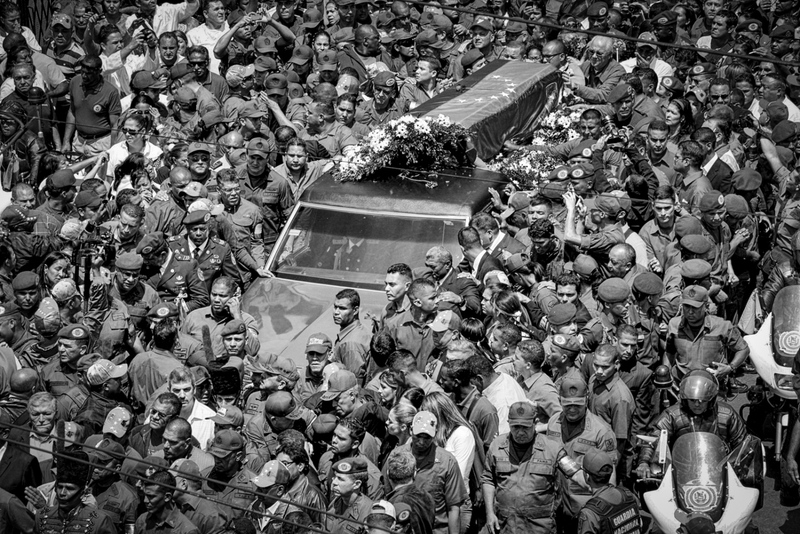 The next day of his decease, the corpse was taken to "Los Proceres", headquarters of the Militar Academy of Venezuela, where the wake was installed. 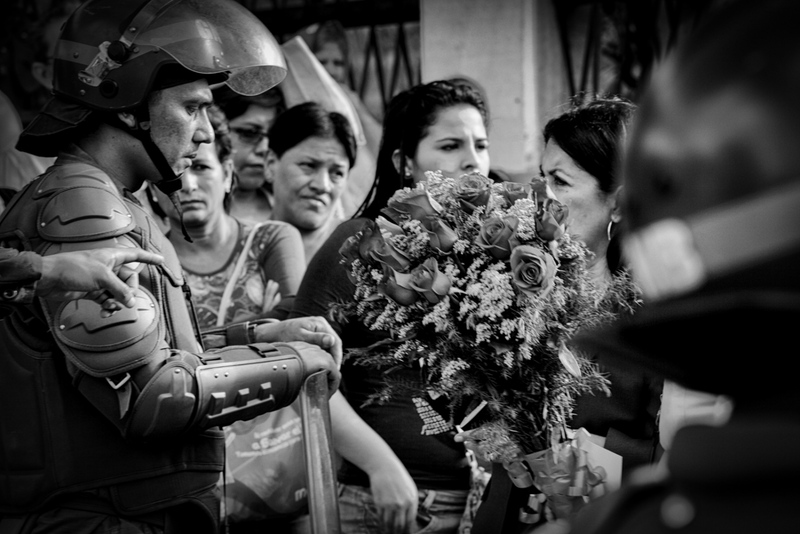 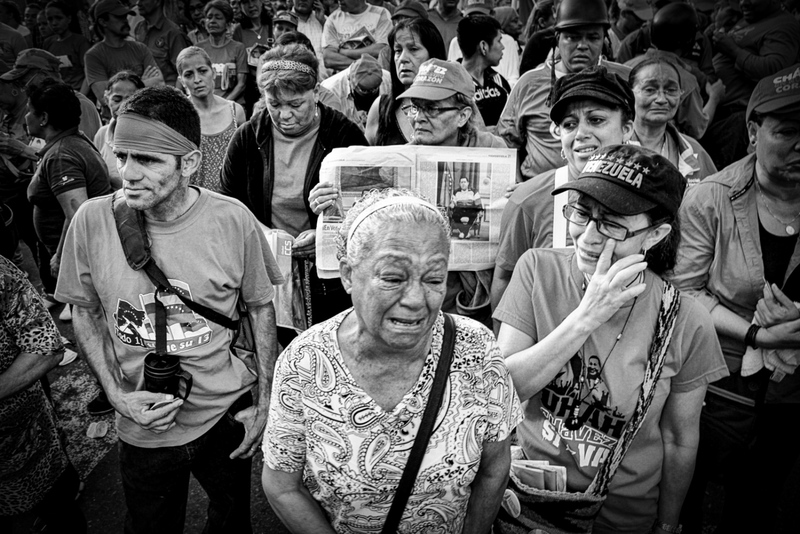 Eleven days of mourning were proclaimed, during which half of Venezuelan population waited up to thirty hours to have the possibility to seeing the President´s corpse. 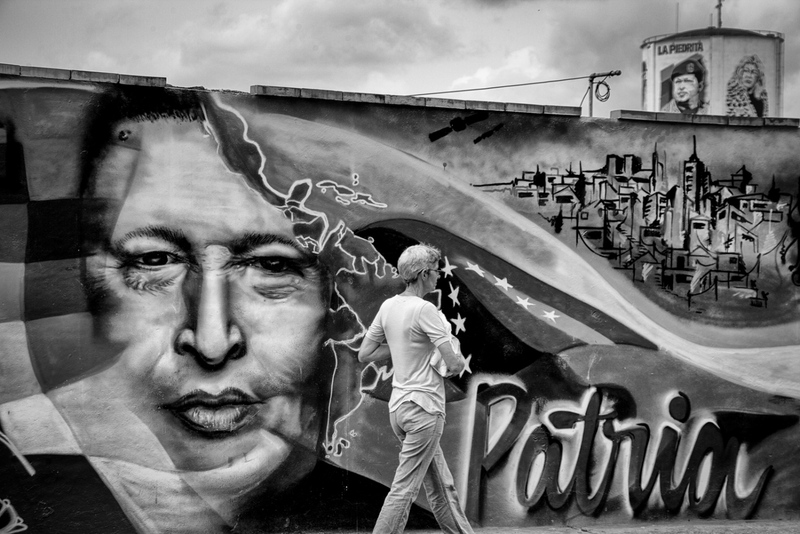 Nicolás Maduro, the new President, announced that Chávez would be embalmed and entombed in the “Cuartel de la Montaña” (Mountain Barracks), an old Historic Militar Museum. 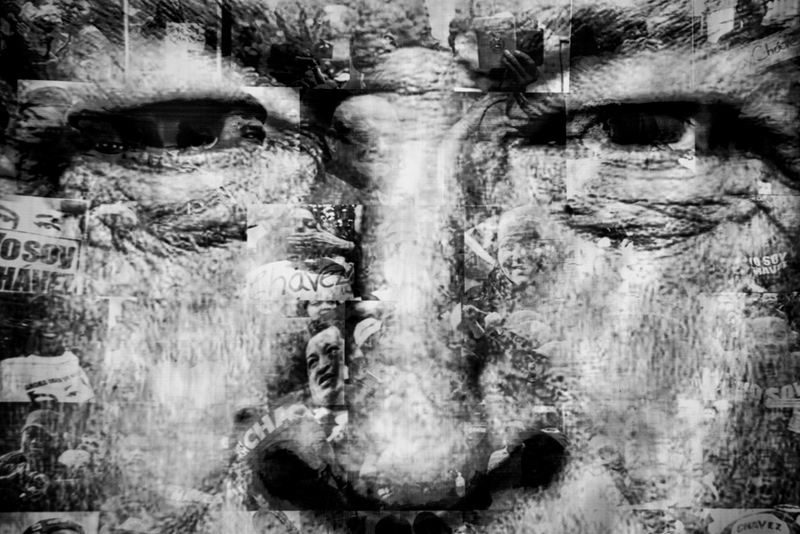 Presidents and representatives from diverse countries attended the funeral, being Evo Morales, Cristina Kirchner and Raúl Castro amongst them. 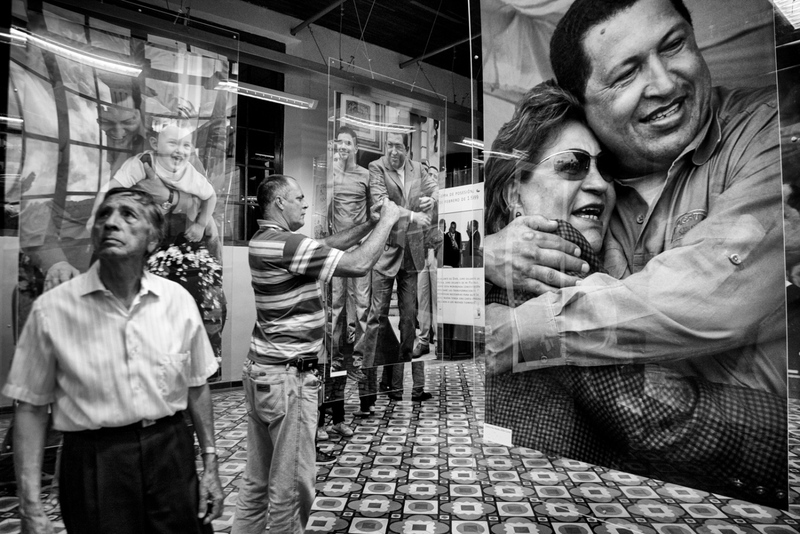 In Caracas you can see images of Chavez in all Public Ministries while his big eyes watch over the whole city. 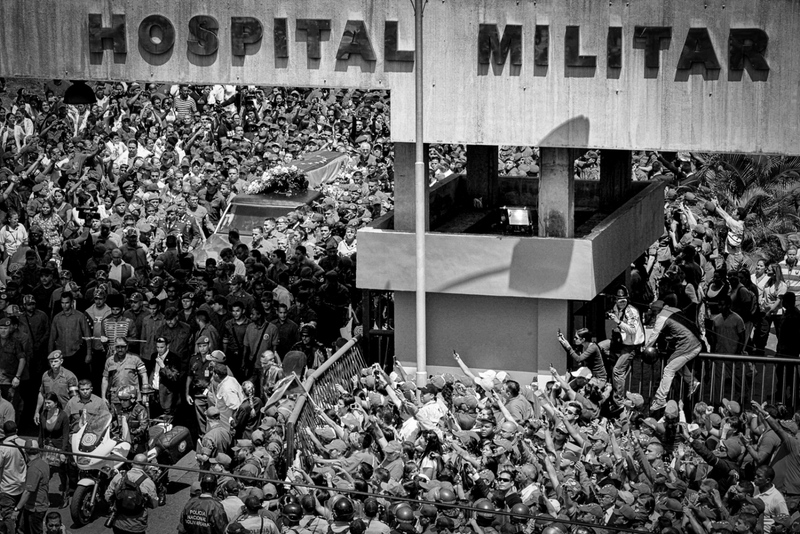 On March 6, the crowds gather in front of Dr. Carlos Arvelo Military Hospital, waiting for the exit of the president´s coffin. 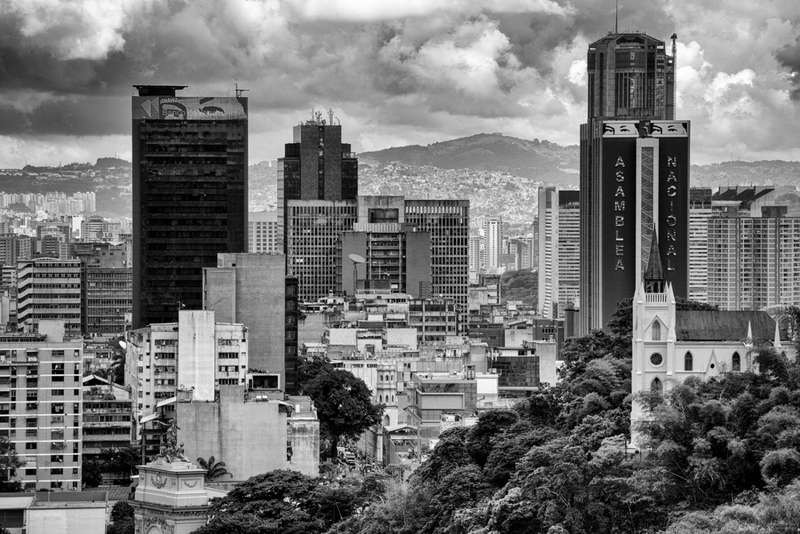 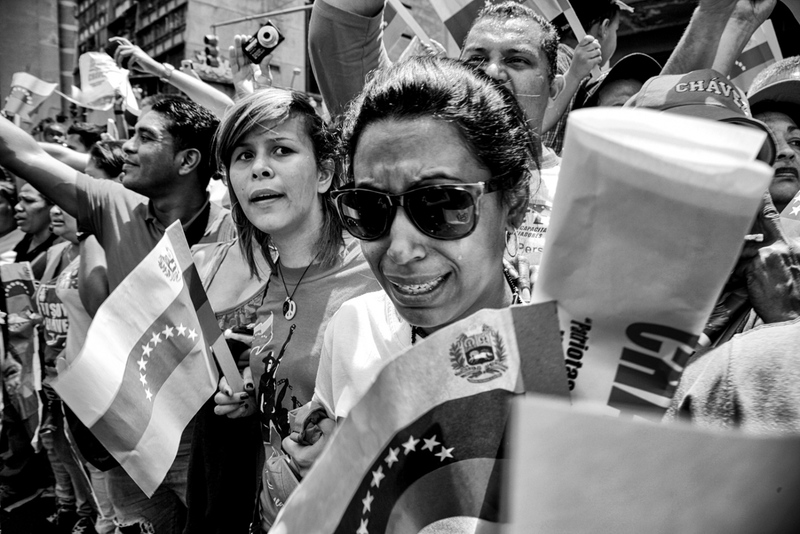 In Venezuela, thousands of people gather in the streets of Caracas and across the country. 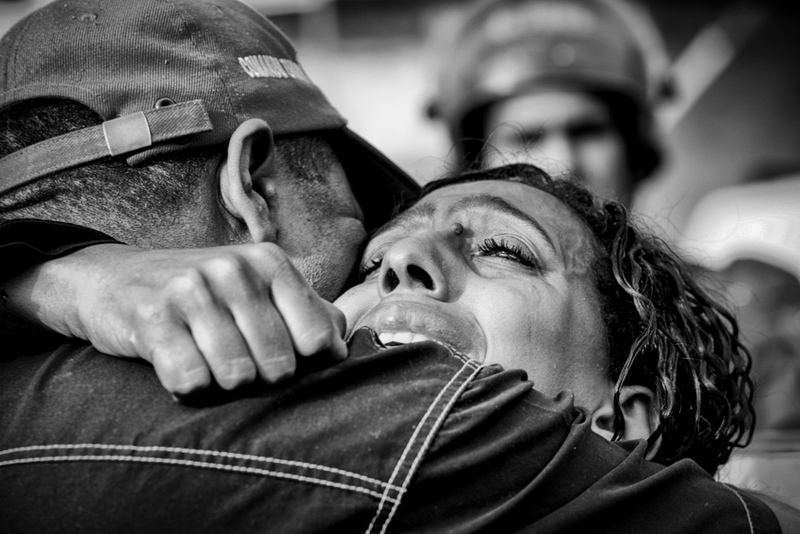 Many weep and hug, unsettled by the news. 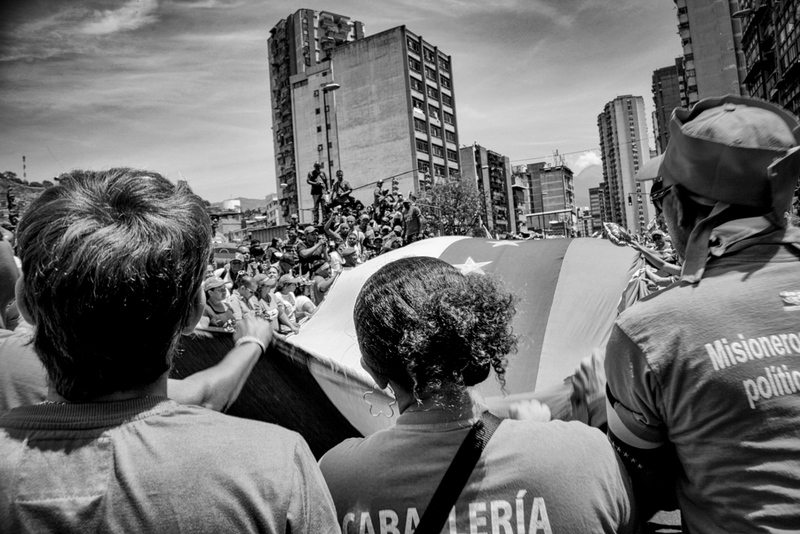 Millions of Venezuelans parade the president´s coffin through the streets of Caracas until Los Proceres, where he would be exposed for almost two weeks. 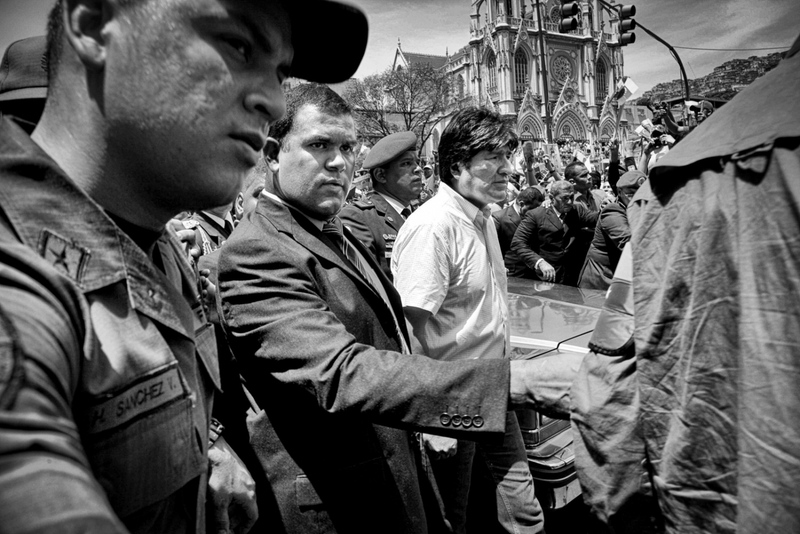 Amongst them, there are senior military officers and foreign Heads of State as Evo Morales. 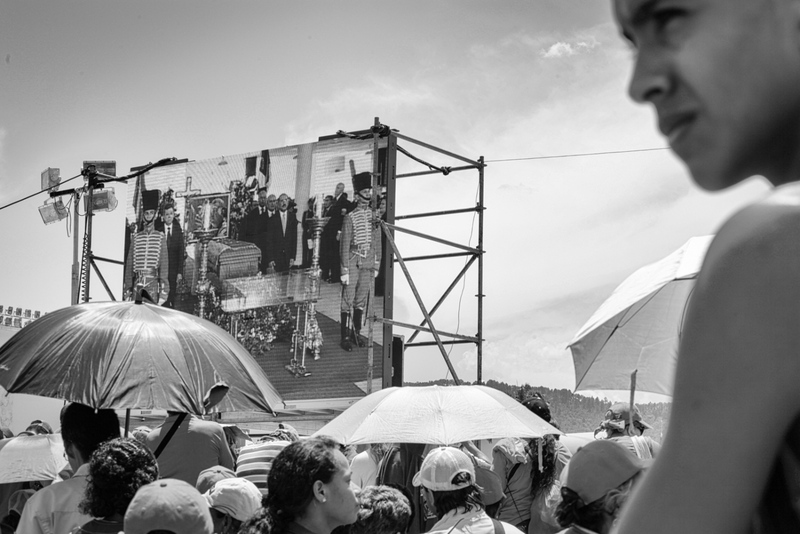 Presidents and representatives from various countries around the world attended the funeral of President Chávez. 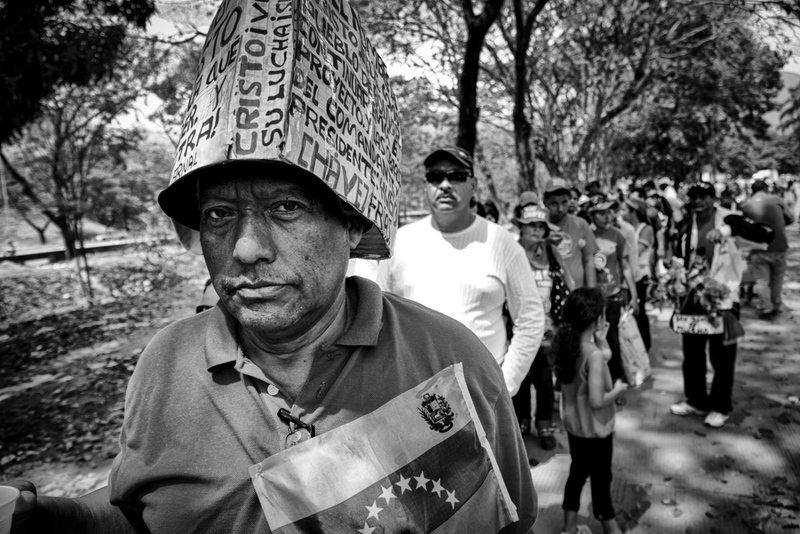 For two weeks Los Proceres hosted long lines of Venezuelans, who waited up to thirty hours to see the president's corpse. 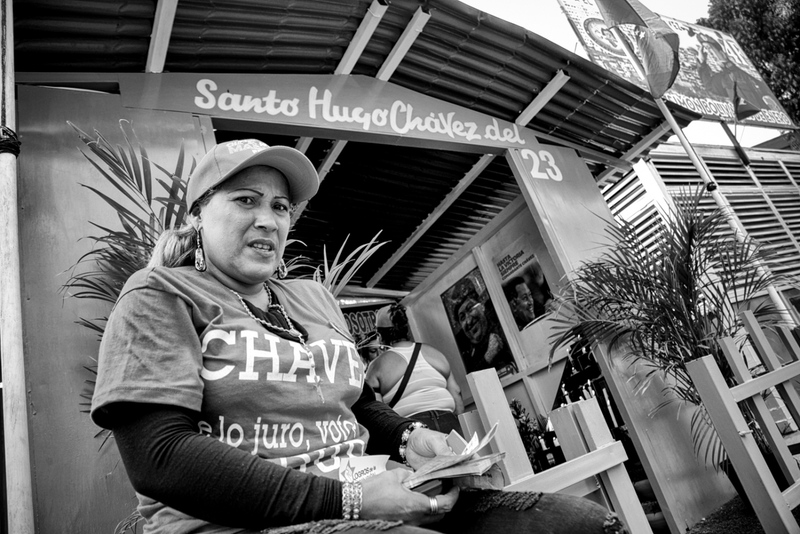 23 de Enero neighborhood is the bastion of Chavism. 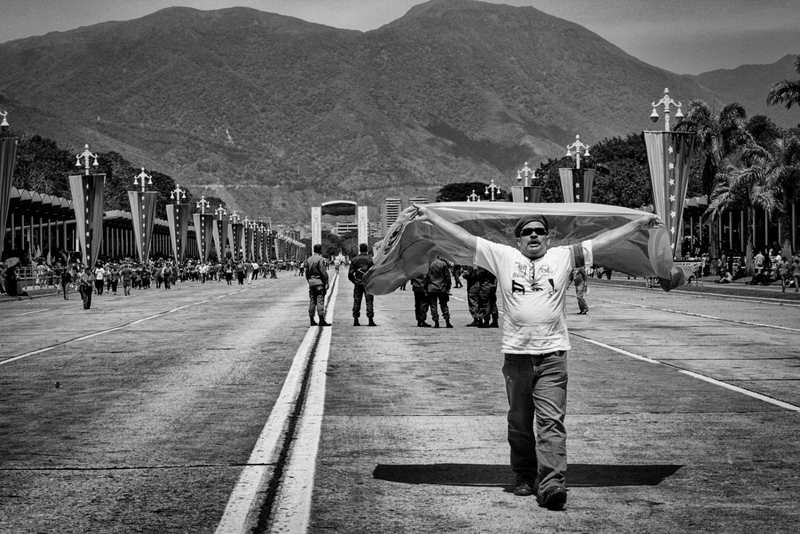 Here is Cuartel de la Montaña, that hosts the corpse of President Chávez. 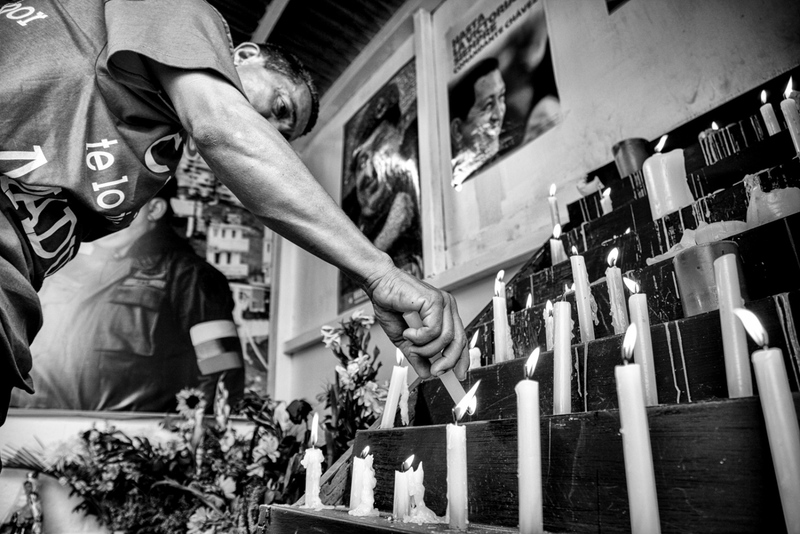 Near Cuartel de la Montaña, where the president´s corpse is been exposed, 23 de Enero neighborhood residents have erected a pedestal in honor of Chávez, where flowers and people arrive every day to commemorate. 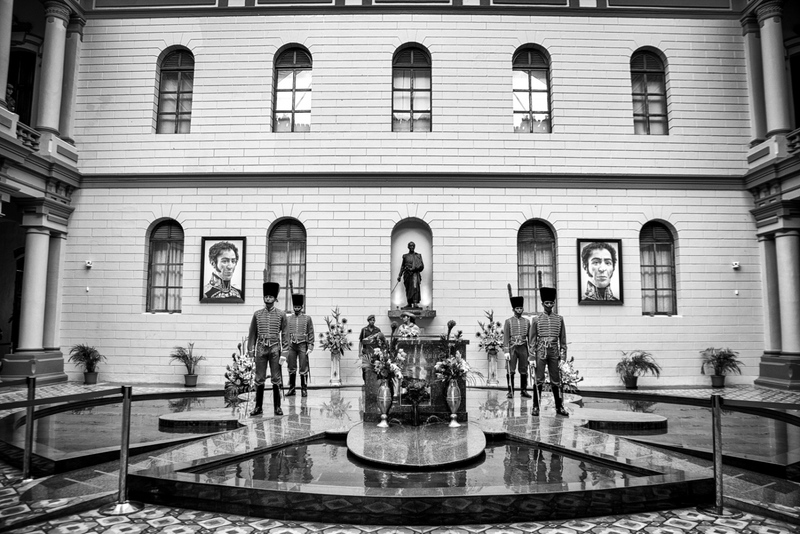 The Guards of Honour keep vigil of the President's corpse at Cuartel de la Montaña. 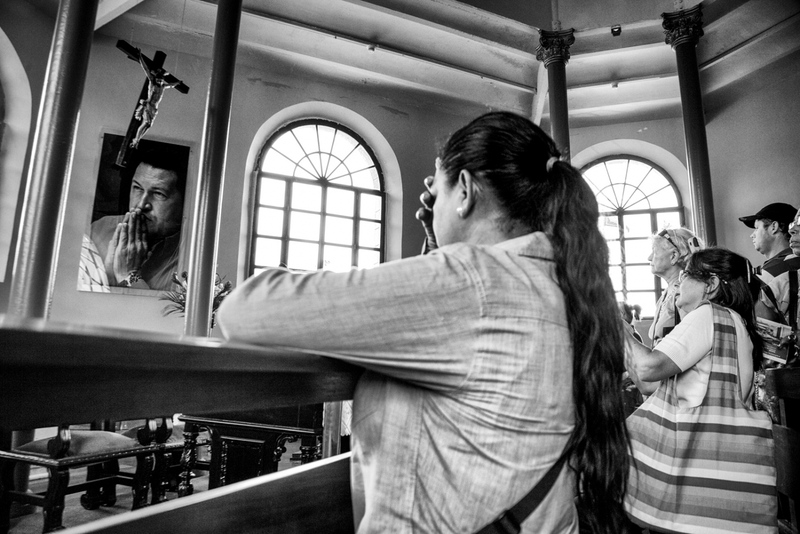 In the Chapel of the Cuartel de la Montaña the visitors pray in front of Chávez's photo. 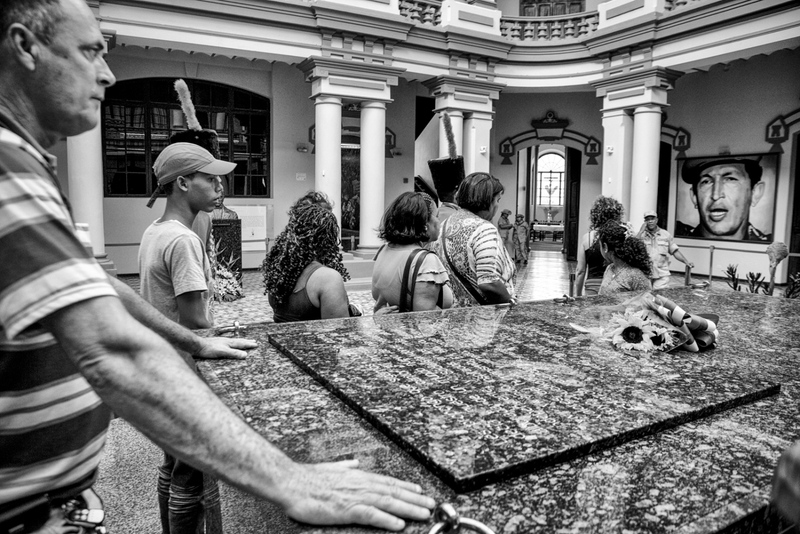 In Cuartel de la Montaña it is possible to take a walk through the museum that tells the life of President Chávez. 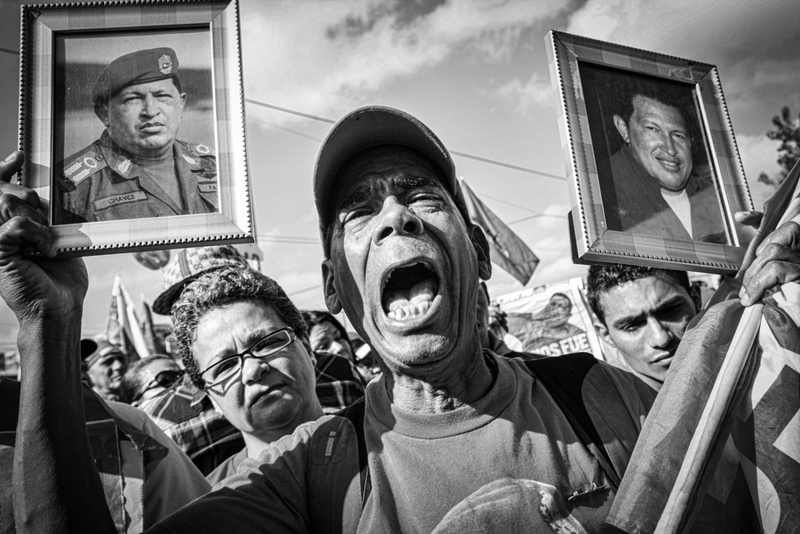 Hugo Rafael Chávez Frias, the President of the Bolivarian Republic of Venezuela dies on March 5, 2013.